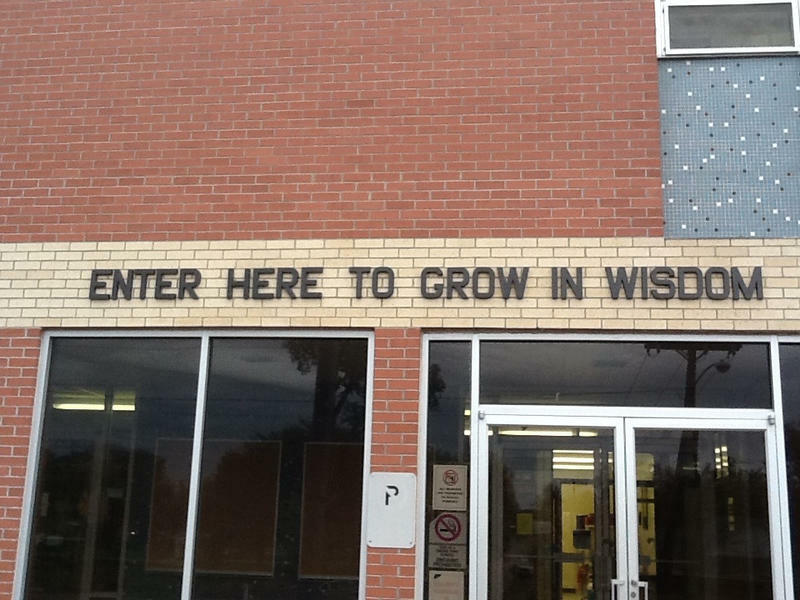 Friday marks the last day of the Education Achievement Authority, Michigan's controversial state-run turnaround district. The EAA's 15 schools will stay open, but they'll be absorbed back into the Detroit Public Schools Community District. Sonya Mays, treasurer for the DPSCD school board, says the district is working with the EAA to make it a smooth transition for students. A special board meeting has been scheduled to give updates in the Detroit Public Schools Community District's search for a new superintendent. The meeting is open to the public and will be held at 5:30 p.m. Thursday at district offices in the Fisher Building. Interviews have been held with superintendent candidates Nikolai Vitti of Florida's Duval County schools and River Rouge Superintendent Derrick Coleman. 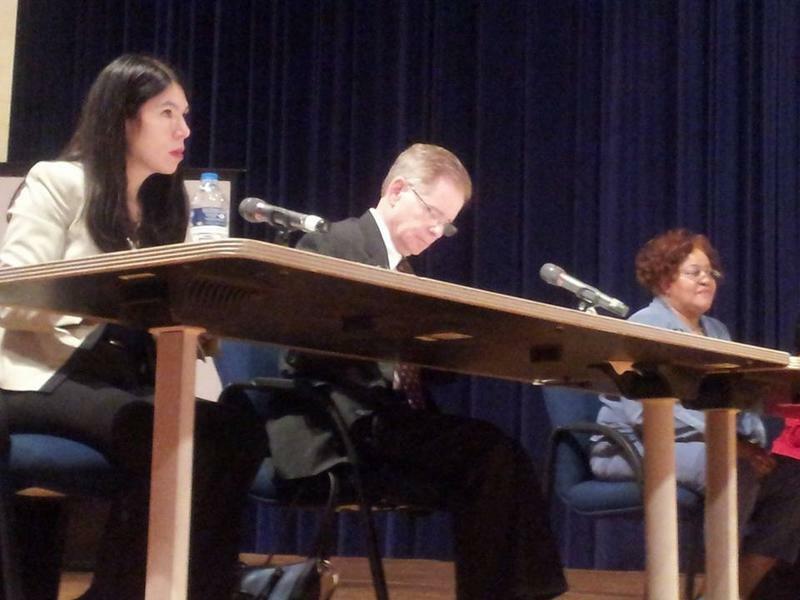 Detroit’s school board interviewed the district’s second and final superintendent candidate Monday evening. Derrick Coleman is the current superintendent of River Rouge Community Schools. He’s a Detroit Public Schools alumnus, and started his career as a teacher and administrator in the district. He touted his success in a district that’s much smaller than Detroit’s, but has similar demographics. Finalists vying for the job of Detroit schools’ superintendent will start the public interview process this week, but some people think the best candidate isn’t in the running. Choosing a new superintendent is the first major task for Detroit’s newly-elected school board, which just took power in January after years of state control. But the process has already become messy and controversial. Our conversation with Bridge Magazine reporter Chastity Pratt Dawsey. 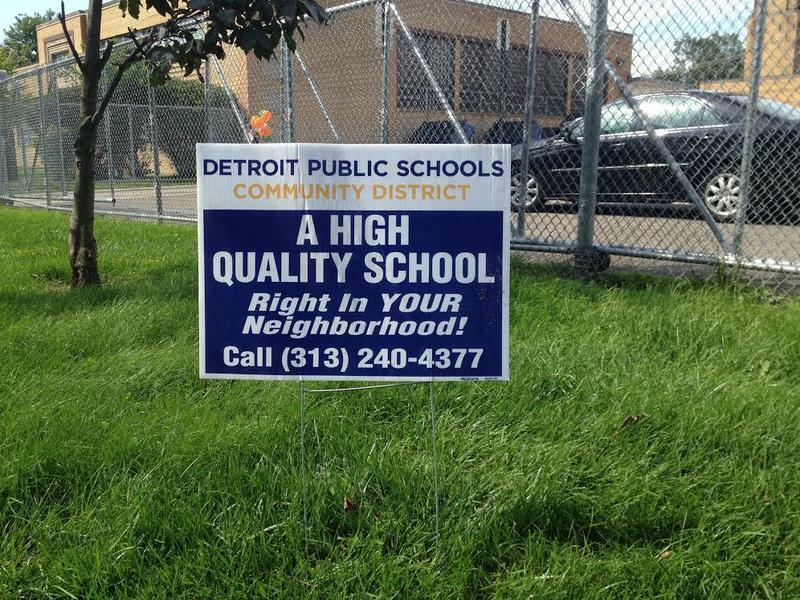 Detroit has itself a new school board chosen from a field of 63 candidates. Bridge Magazine reporter Chastity Pratt Dawsey joined Stateside to talk about the seven winners and what’s ahead for them. 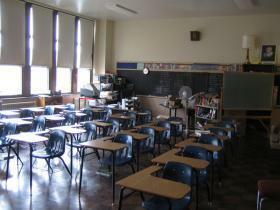 A recent legislative overhaul to Detroit Public Schools is being challenged in court. 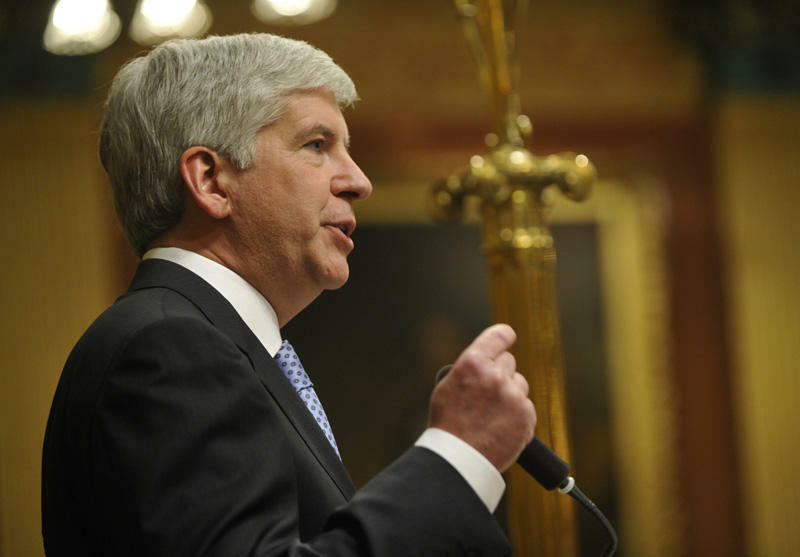 Governor Snyder signed bills that split the old school district in two last month, avoiding a potential bankruptcy. 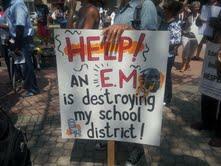 But members of Detroit’s elected school board say there are a number of problems with those bills. The Detroit Public Schools’ board of education met for the final time ever on Thursday. The board has very little to do now as part of the "old,” debt-ridden DPS. It will be replaced by a “new” district, run by a “transition manager”—currently the district’s last emergency manager, Judge Steven Rhodes. Gov. Snyder just signed bills setting up this bankruptcy-style restructuring just last week. This Week in Michigan Politics, Michigan Radio’s senior news analyst Jack Lessenberry and Morning Edition host Christina Shockley discuss the first female mayor of Grand Rapids, this week's elections, accusations of racism against Gov. Snyder and Detroit emergency managers, the number of college degrees among Michigan lawmakers. The Detroit Public Schools’ elected board has filed a federal civil rights complaint against Governor Rick Snyder. The Title VI complaint — the portion of the 1964 Civil Rights Act which deals with discrimination claims against institutions that receive federal funds — asks the U.S. Department of Justice to investigate a number of allegations against the district and its state-appointed officials. 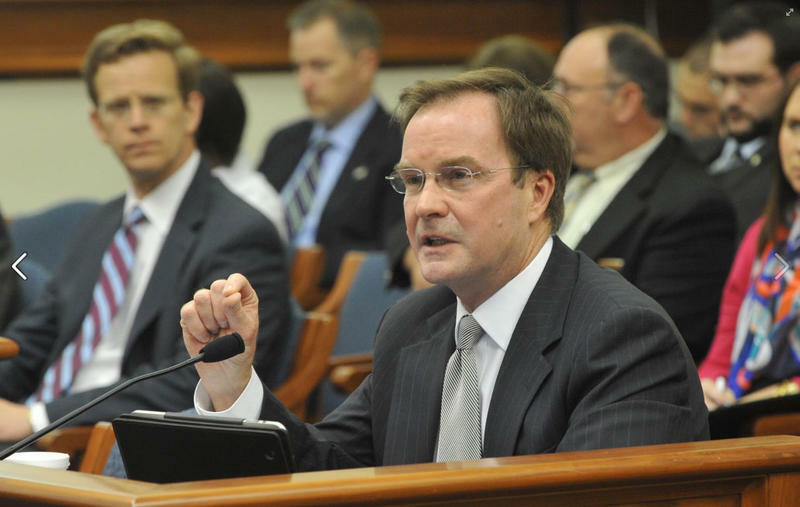 Michigan Attorney General Bill Schuette has been arguing that seven of the eleven school board members on the Detroit school board are holding office illegally and he wants them removed. He lost a challenge in court early this week. Chastity Pratt Dawsey reports for the Detroit Free Press that "Wayne Circuit Court Judge John Gillis Jr. denied State Attorney General Bill Schuette’s motion for summary disposition and granted the school board’s motion, effectively allowing the school board to continue to hold office." George B. Washington, attorney for the Detroit School Board, said “We are glad that this lawsuit has been exposed as the bogus claim that it always was. Attorney General Schuette and Governor Snider [sic] filed this lawsuit to prevent the largely black and Latino citizens of Detroit from having any say over their own schools. The Attorney General should not appeal this decision and he and the Governor should stop trying to destroy elected government in the City of Detroit." Schuette has argued that the Detroit school board members cannot be elected by district, because state law requires that a school district have 100,000 students or more to elect board members that way. It's the difference between a "first class" school district, and a "general powers" school district. He's argued that Detroit hasn’t met that threshold since 2008. In his decision, Judge Gillis Jr. wrote that the state code does not address what should happen in a district where student enrollment has declined. Michigan Attorney General Bill Schuette continues his effort to remove some Detroit school board members. A Wayne County judge heard oral arguments Thursday about Schuette’s lawsuit to throw out seven board members elected by district. Schuette says state law only allows so-called “first class” school districts to elect board members that way. He says Detroit hasn’t met that threshold since 2008. School board attorney George Washington insists his clients followed the law "as the legislature wrote it." Washington also noted the lawsuit was only filed in 2012, after Michigan’s emergency manager law was suspended. “They were happy with the way the school board was elected, until they thought they might not have a financial manager," Washington said. "And then they said, ‘Well, we gotta get rid of the board. No matter what the law says, or what we’ve allowed to happen.'" 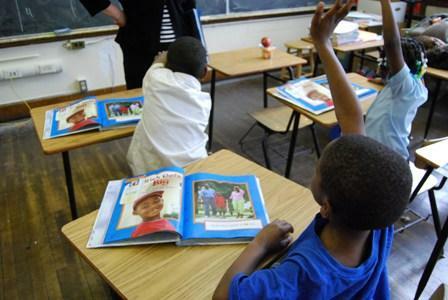 A Wayne County Circuit judge has ruled that some Detroit schools will remain in a new district for low-performing schools despite a ballot proposal challenging a state law that allowed the move, according to an Associated Press report. The judge told emergency manager Roy Roberts today that the Detroit Board of Education regains academic control of remaining schools in the district pending the November election outcome on Michigan's emergency manager law. Until then, state-appointed managers of financially distressed cities and school districts have to operate under the law's predecessor, which gives them only financial oversight. Board members sought to reverse Roberts' movement of 15 schools into the Education Achievement Authority, claiming it falls under their academic control. Detroit Public Schools Board President, LaMar Lemmons talks with Michigan Radio's Jennifer White about today's hearing and what steps the board will take next. School districts with emergency managers have been plunged into uncertainty, now that the state’s emergency manager law has been suspended. In Detroit, the Michigan Attorney General is suing to make sure the elected school board doesn’t take power back there. Detroit’s elected school board went from having very little power, to no power whatsoever when the state broadened the powers of emergency managers under Public Act 4. The President of the Detroit Board of Education has resigned his position. Anthony Adams’ resignation note states “I resign my position with deep regret,” but doesn’t give further details. The note does mention Adams’ route to school board President as a write-in candidate, and his time as Detroit Public Schools General Counsel from 2002-2005. The Detroit School Board has approved a settlement that could end a long-running lawsuit with the district’s Emergency Financial Manager, Robert Bobb. The Board voted ten-to-one in favor of a settlement that would give them control over the district’s academics.